Teapot Baobab takes the form of bottle and also looks like teapot, which is why its name has teapot in it. 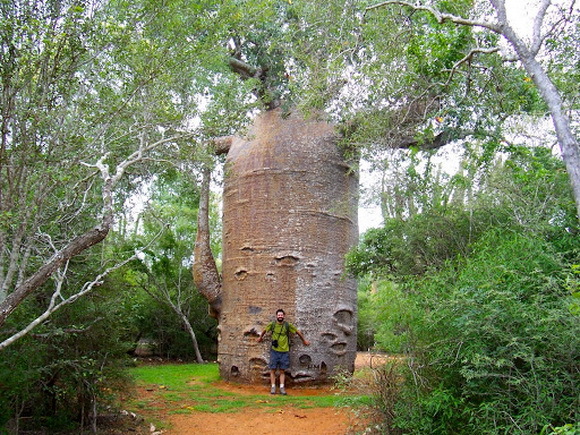 This tree and the trees similar like this are located in Ifaty, Madagascar. 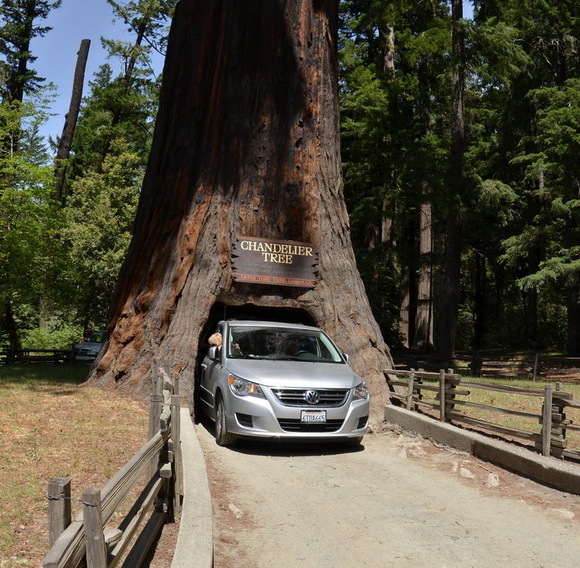 The Chandelier Tree in Drive Thru Tree Park is a 315 foot (96 metre) tall coast redwood tree in Leggett, California with a 6 ft (1.83 m) wide by 6 ft 9 inch (2.06 m) high hole cut through its base to allow a car to drive through. 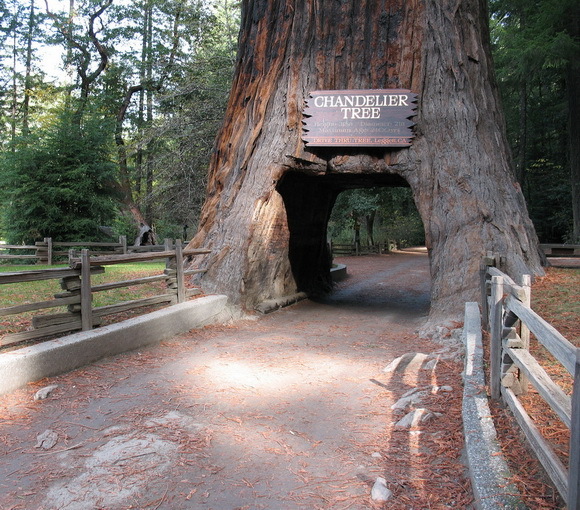 The Chandelier Tree is a giant redwood located 175 mi (280 km) north of San Francisco on US 101. 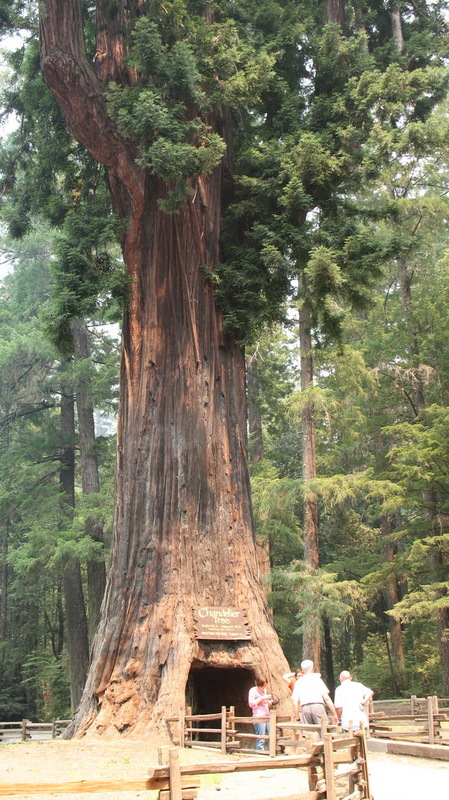 The massive tree had the ignoble fate of having a tunnel carved through its base more than 60 years ago and is now the centerpiece of a 200-acre grove of redwoods. 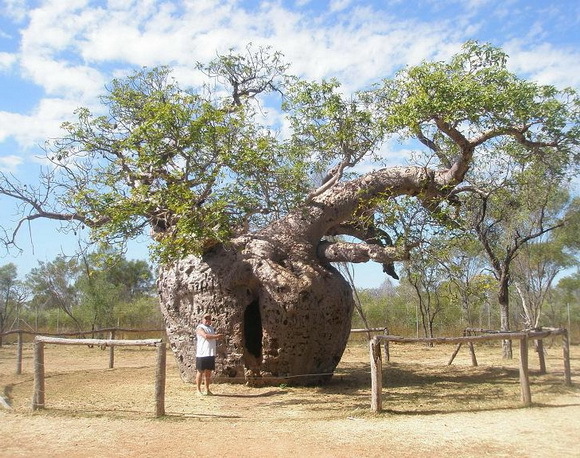 The Boab Prison Tree is a large hollow Adansonia gregorii (Boab) tree just south of Derby, Western Australia. It is reputed to have been used in the 1890s as a lockup for Indigenous Australian prisoners on their way to Derby for sentencing. 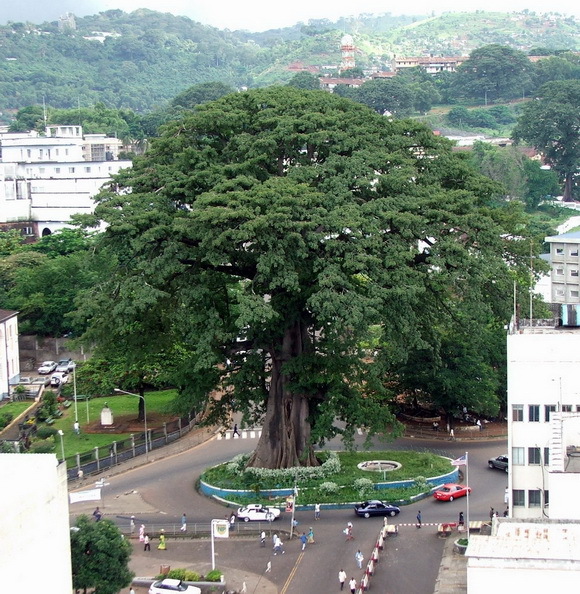 The Cotton Tree is a Ceiba pentandra (tropical tree), a historic symbol of Freetown, the capital city of Sierra Leone. 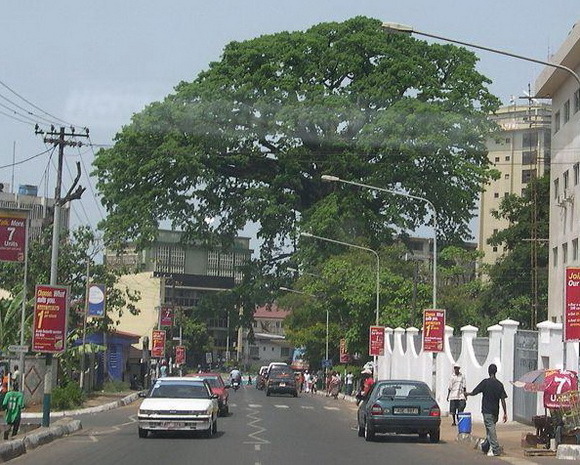 According to legend, the "Cotton Tree" gained importance in 1792 when a group of former African American slaves, who had gained their freedom by fighting for the British during the American War of Independence, settled the site of modern Freetown. 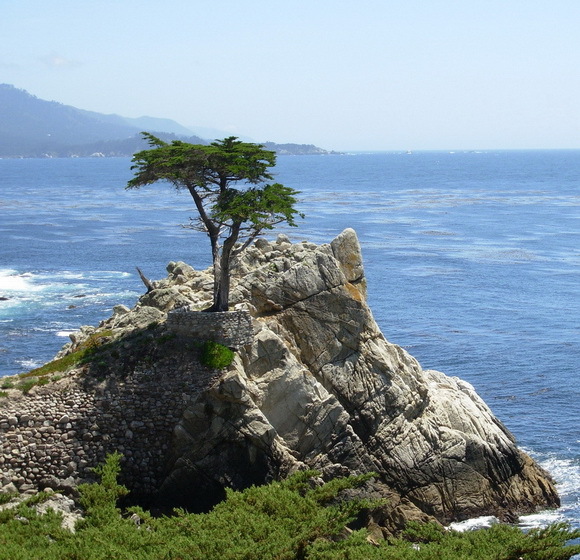 According to tradition, they landed on the shoreline and walked up to a giant tree just above the bay and held a thanksgiving service there, gathering around the tree in a large group and praying and singing hymns to thank God for their deliverance to a free land. 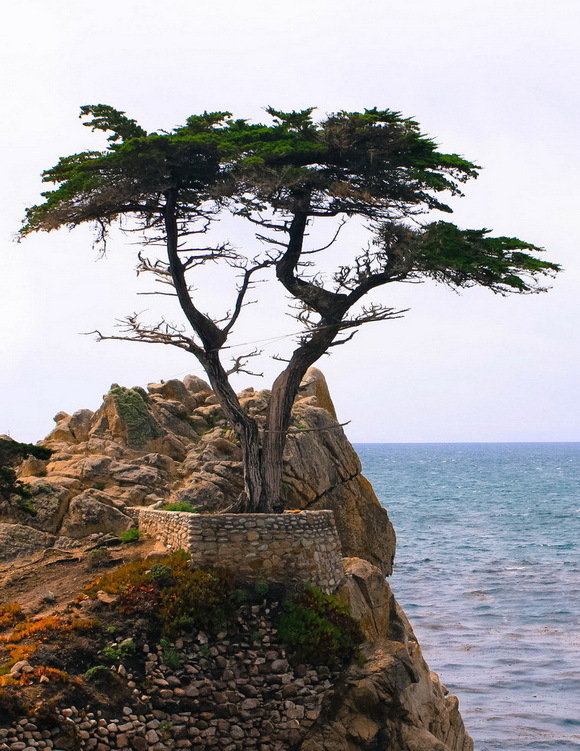 Chief among the scenic attractions at 17-Mile Drive (California) is the Lone Cypress Tree, a salt-pruned Monterey cypress (macrocarpa) tree which is the official symbol of Pebble Beach and a frequent fixture of television broadcasts from this area. 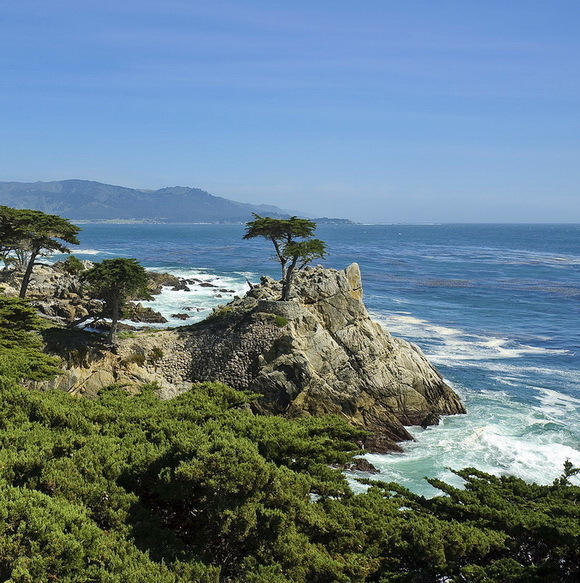 In 1990 the Monterey Journal reported that Pebble Beach's lawyer, Kerry C. Smith, said "The image of the tree has been trademarked by us," and that it intended to control any display of the cypress for commercial purposes. 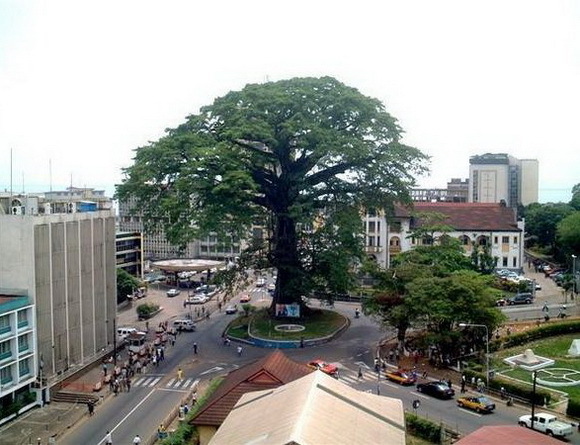 The company had warned photographers that "they cannot even use existing pictures of the tree for commercial purposes." 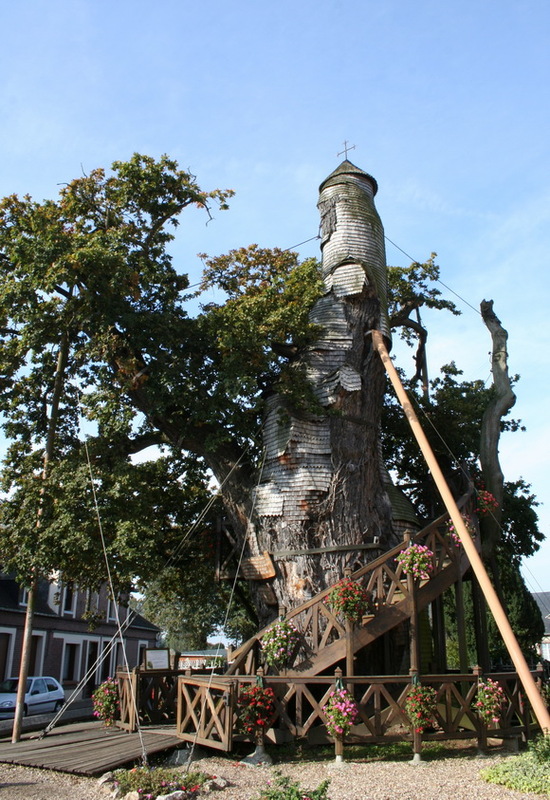 The Chêne chapelle (Oak Chapel) is an oak tree located in Allouville-Bellefosse in Seine-Maritime, France. 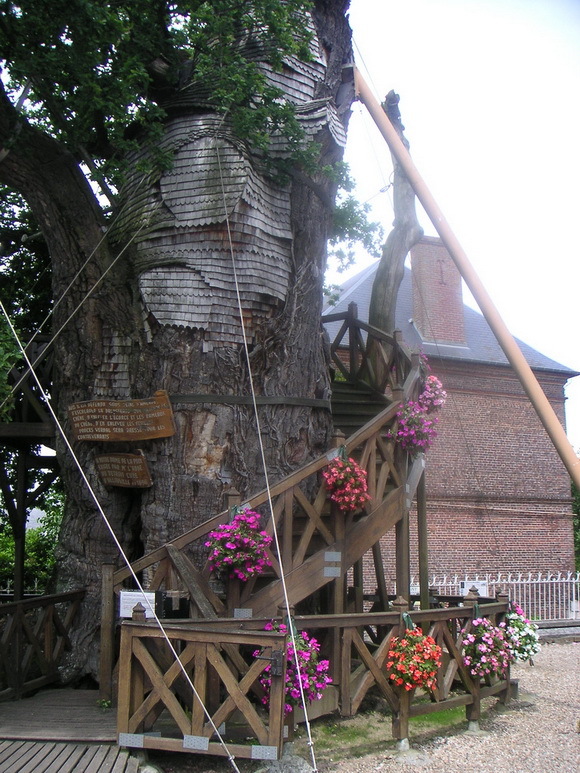 The oak tree is between 800 and 1,200 years old. 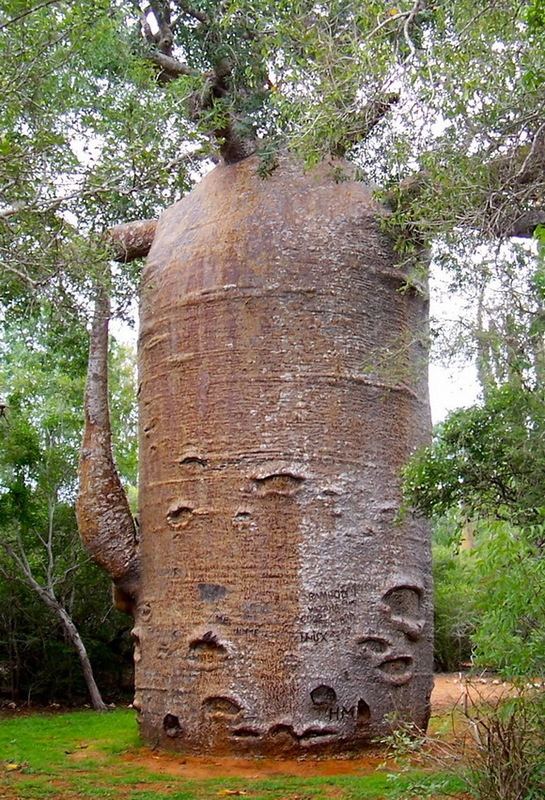 It is 15m (50ft) high and its base has a circumference of 16m (53 ft). A staircase spirals around its twisted trunk but neither is this an everyday tree house. Instead of a dwelling place atop or amongst its branches the visitor will discover that the interior holds the secret of this ancient oak. Within there are two small chapels, which were built there in 1669. 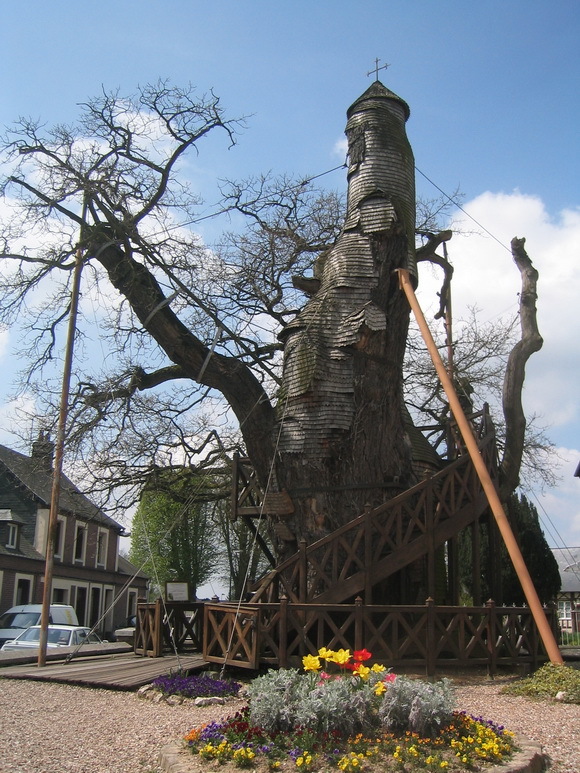 How old the tree is exactly is the subject of some debate but it is without doubt the oldest known tree in France. While it has persevered the centuries, others have come and gone but Chêne chapelle has remained. 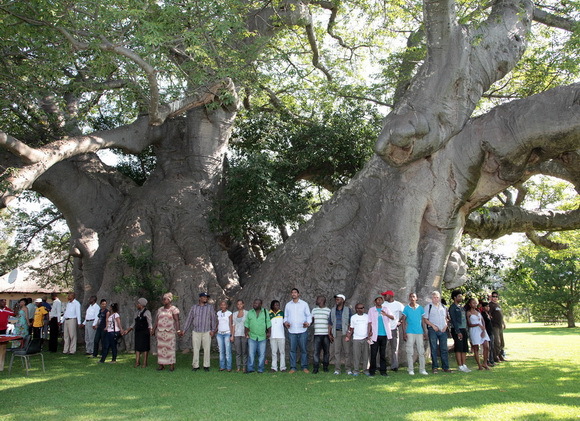 Sunland Baobab is a well-known enormous baobab (Adansonia digitata) in South Africa. 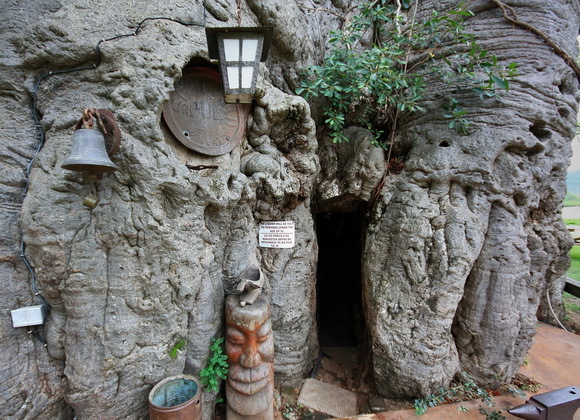 The tree is located on Sunland Farm (Platland Farm), near Modjadjiskloof (previously known as Duiwelskloof), Limpopo Province. 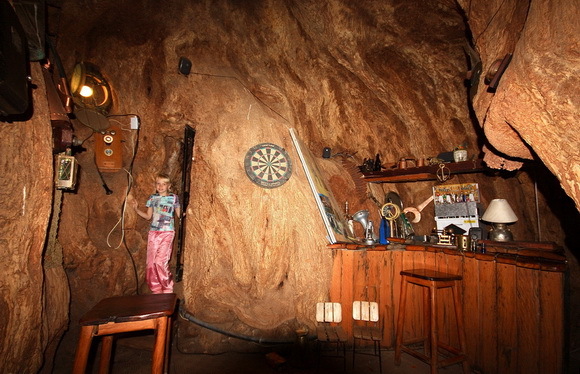 The Sunland Big Baobab is renowned because in its hollowed trunk there is established a bar and a wine cellar. The tree has been carbon dated and is estimated to be around 1060 years old. The trunk of the tree consists of two connected parts. Each of these parts has its own enormous hollow connected with a narrow passage. 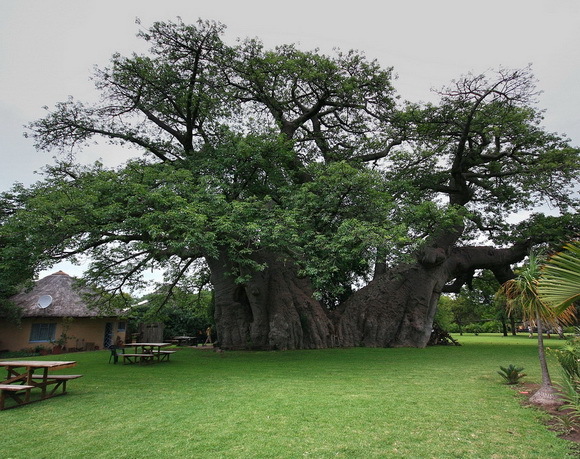 Diameter of the tree - 10.64 metres or 35 ft (only Glencoe Baobab up to recent split had larger diameter), height 19 metres (62 ft) and crown diameter - 30.2 metres (99 ft). 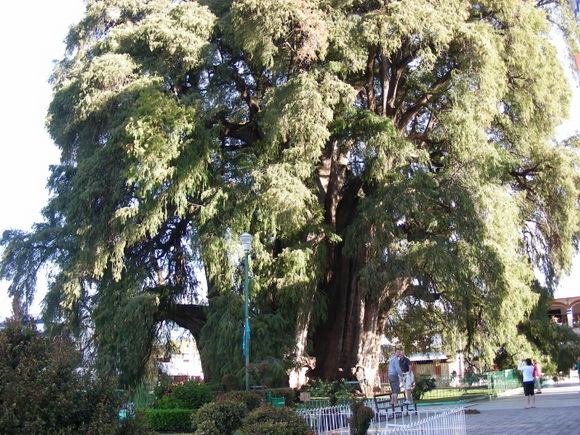 Circumference of the trunk - 33.4 metres (110 ft). 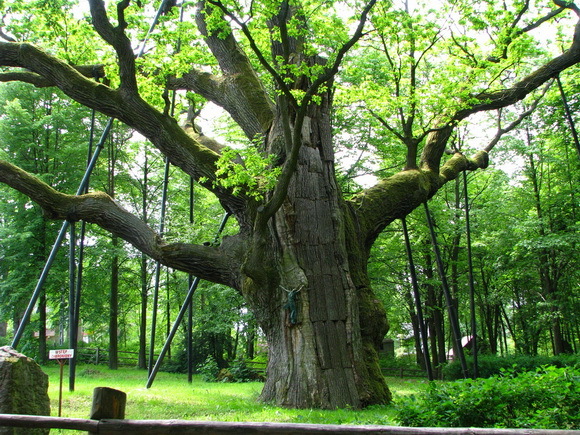 Bartek is an ancient oak tree in Poland. It grows in Zagnańsk near Kielce in the Świętokrzyskie Mountains. Its age, previously estimated at up to 1200 years, has recently been established to be 650–670 years, with a corer used to extract a sample for a ring count. An accurate count is impossible, as Bartek's interior has hollowed with age. 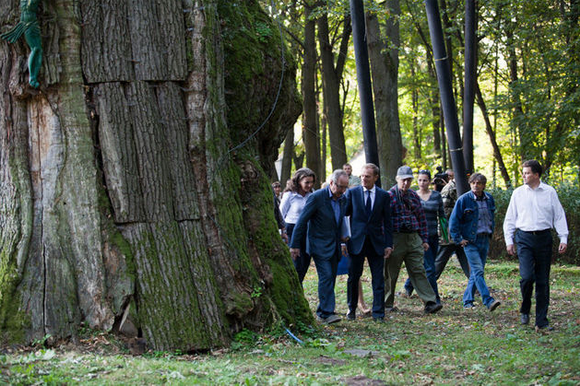 There are several older trees in Poland, both oaks and yews (some over 1000 years old), yet none of them has matched Bartek's fame. The 30-metre (98 ft) tall Bartek measures 13.5 metres (44 ft) in girth at its base. Its crown spreads about 40 metres (131 ft). King Casimir III (1310–1370) is known to have held court under Bartek. King Jan III Sobieski rested under the oak on his way back from the Battle of Vienna (1683). He reputedly hid a Turkish sabre, an arquebus and a bottle of wine inside it to commemorate the victory. 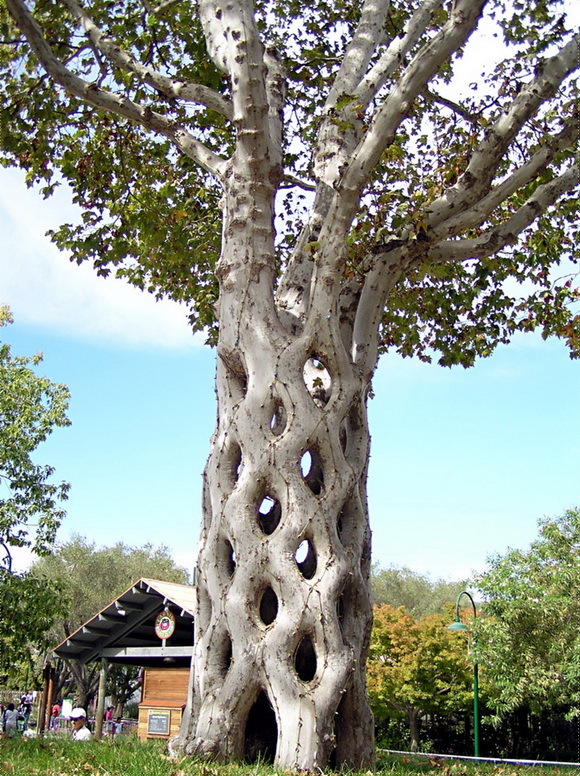 This is the famous "Basket Tree" authored by Axel Erlandson (1884-1964), well-known Swedish American farmer, who shaped trees as a hobby, and opened a horticultural attraction in 1947 advertised as "See the World's Strangest Trees Here," and named "The Tree Circus." 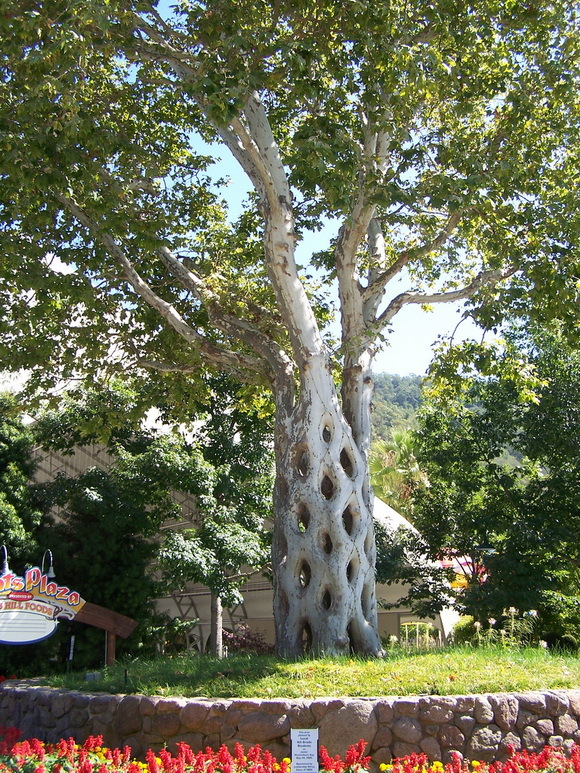 Basket tree and all the other masterpieces of Axel Erlandson is located in Gilroy Gardens - a garden-themed family theme park in Gilroy, California. 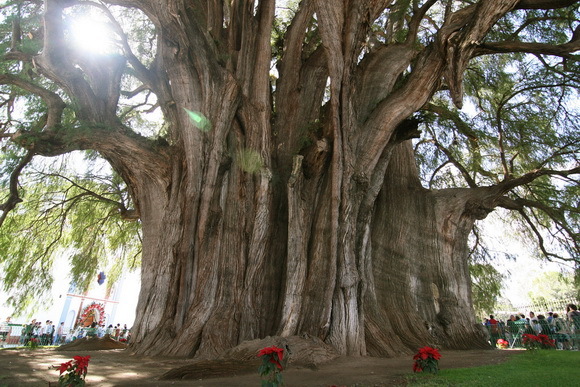 El Árbol del Tule (Spanish for The Tree of Tule) is a tree located in the church grounds in the town center of Santa María del Tule in the Mexican state of Oaxaca, approximately 9 km (5.6 mi) east of the city of Oaxaca on the road to Mitla. In 2001 it was placed on a UNESCO tentative list of World Heritage Sites. It is a Montezuma cypress (Taxodium mucronatum), or ahuehuete (meaning "old man of the water" in the local language). 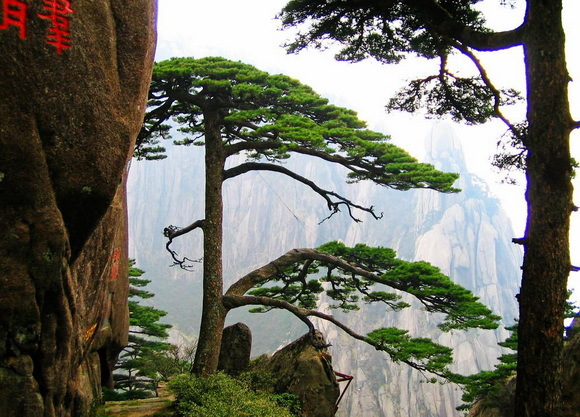 It has the stoutest trunk of any tree in the world. In 2005, its trunk had a circumference of 36.2 m (119 ft), equating to a diameter of 11.62 m (38.1 ft), a slight increase from a measurement of 11.42 m (37.5 ft) m in 1982. 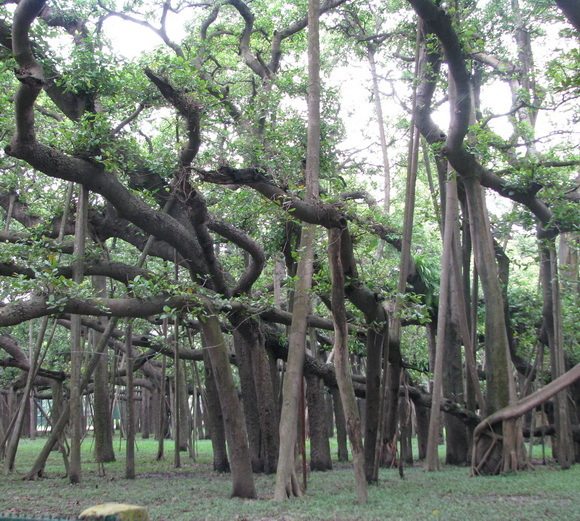 The Great Banyan is a banyan tree (Ficus benghalensis) located in Acharya Jagadish Chandra Bose Indian Botanic Garden, Howrah, near Kolkata, India. 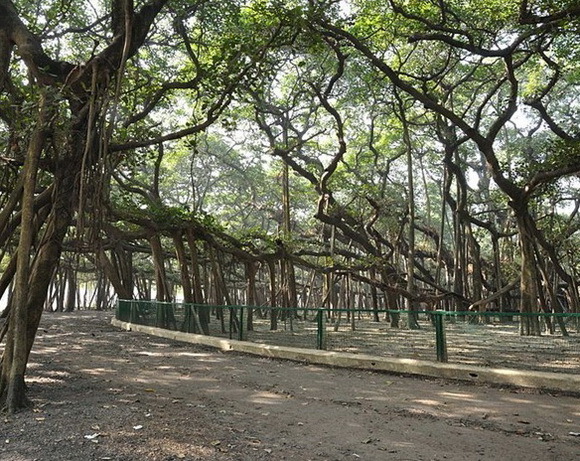 It was the widest tree in the world in terms of the area of the canopy and is estimated to be about 200 to 250 years old. 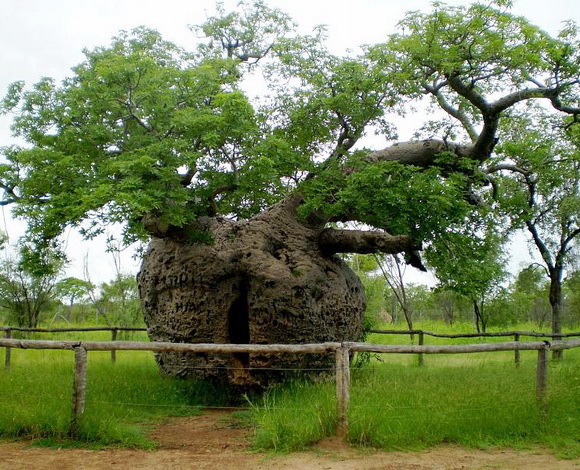 It became diseased after it was struck by lightning, so in 1925 the middle of the tree was excised to keep the remainder healthy; this has left it as a clonal colony, rather than a single tree. 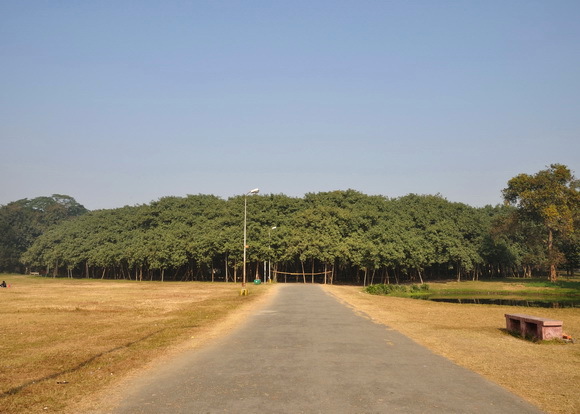 A 330 metre (1,080ft) long road was built around its circumference, but the tree continues to spread beyond it. This famous tree is a Southern live oak (Quercus virginiana) located in Angel Oak Park on Johns Island near Charleston, South Carolina. 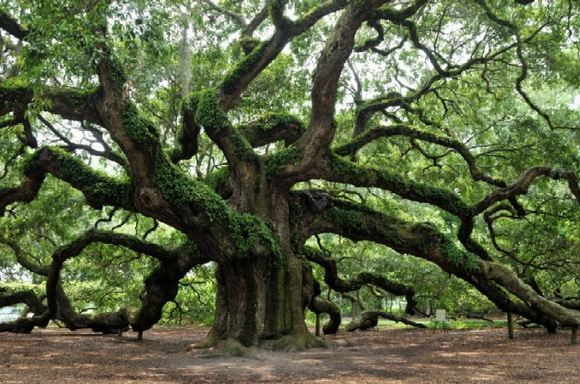 The Angel Oak Tree is estimated to be in excess of 500 years old, stands 66.5 ft (20 m) tall, measures 28 ft (8.5 m) in circumference, and produces shade that covers 17,200 square feet (1,600 m2). From tip to tip Its longest branch distance is 187 ft (57 m). 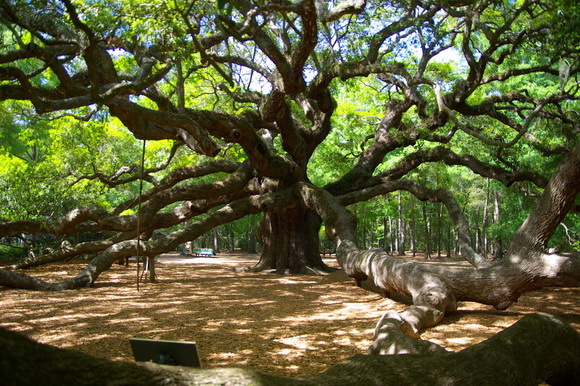 The Angel Oak was damaged severely during Hurricane Hugo in 1989 but has since recovered. The City of Charleston has owned the tree and surrounding park since 1991. 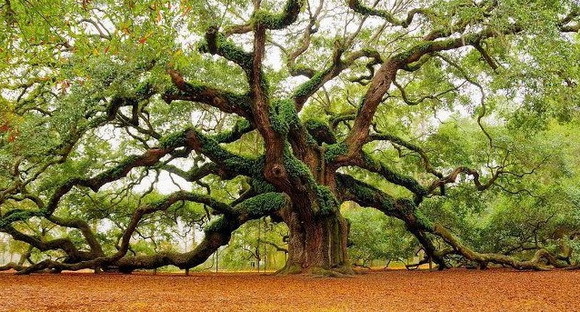 This tree is one of the most visited oaks in the United States. 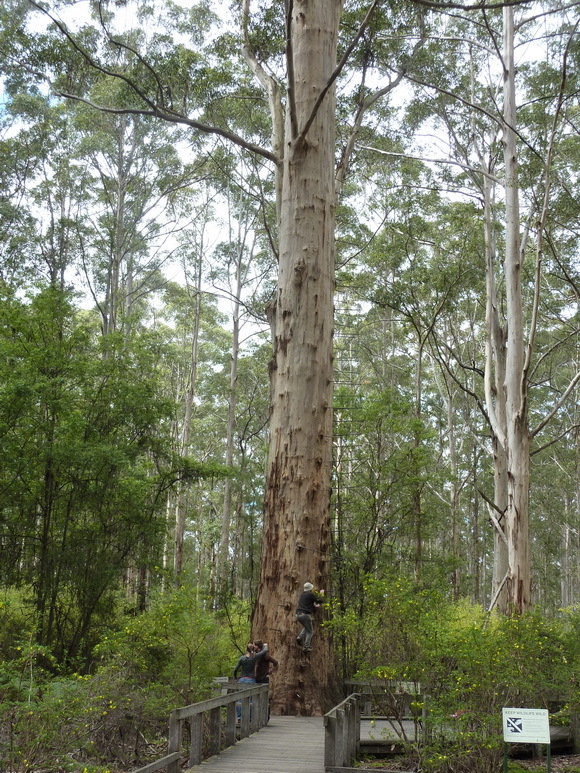 The Gloucester Tree is a giant karri tree (Eucalyptus) in the Gloucester National Park of Western Australia. 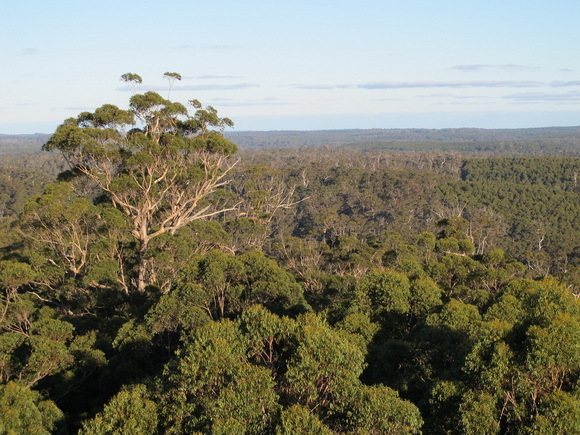 At 72 metres (236 ft) in height, it is the world's second tallest fire-lookout tree, and visitors can climb up to a platform in its upper branches for a spectacular view of the surrounding karri forest. 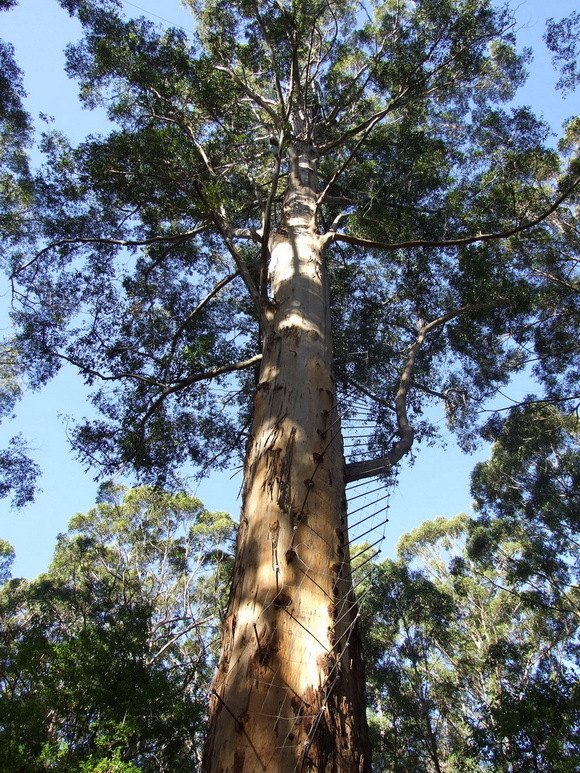 Built in 1947, the Gloucester Tree was one of eight karri trees that between 1937 and 1952 were made relatively easy to climb so that they could be used as fire lookout spots. The suitability of the tree as a fire lookout was tested by forester Jack Watson, who climbed the tree using climbing boots and a belt. 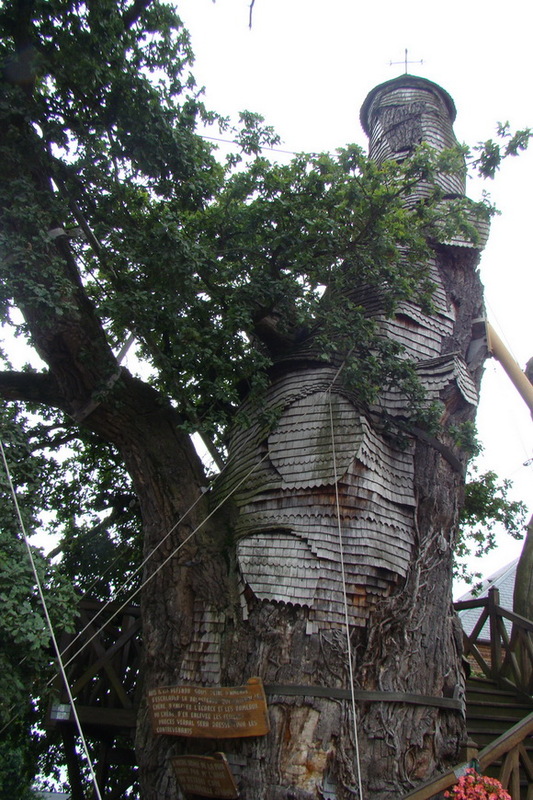 Another forester, George Reynolds, pegged the ladder and lopped branches to facilitate climbing the tree, and a wooden lookout cabin was built 58 metres (190 ft) above the ground. The Governor-General of Australia, Prince Henry, Duke of Gloucester, visited the site during construction, and the tree and national park are named in his honour. 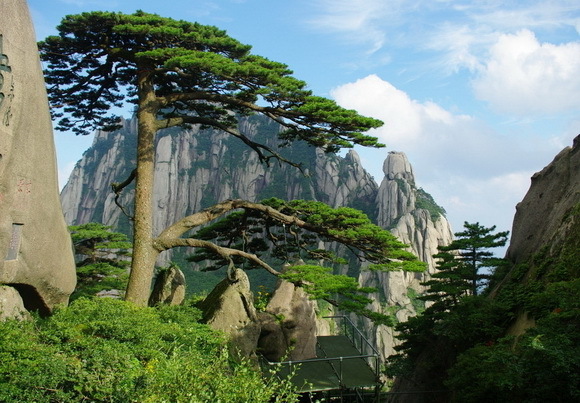 Welcoming Guest Pine (The Ying Ke Pine) is located on the east side of Jade Screen Peak, by Wenshu Cave. It's about 10 meters (33 feet) high. 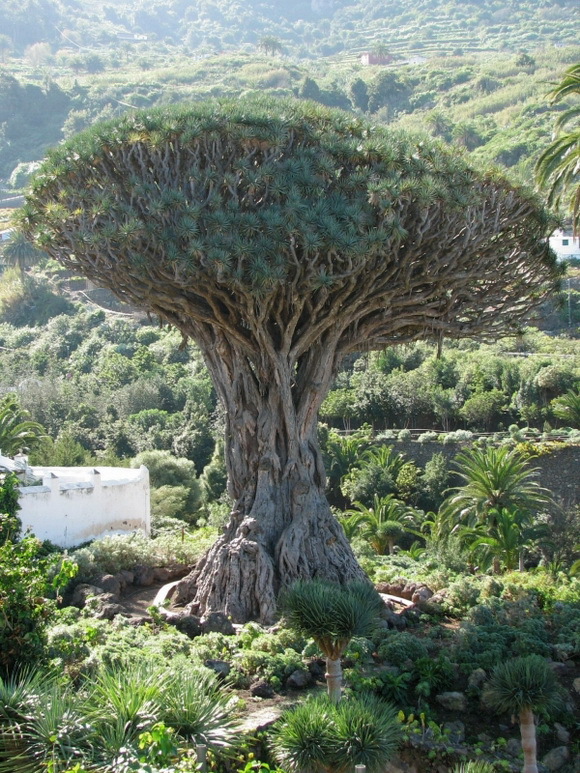 The diameter of its trunk is 64cm (25 inches), and the diameter of its roots is 75 meters (246 feet). Half way up the trunk, two main lateral branchess, which are 7.6 meters (25 feet) long, stretch forwards. It looks like a hospitable host who flings his arms out to warmly welcome guests from China and abroad.